Found one file extension association related to MyPhoneExplorer Client and 1 file format developed specifically for use with MyPhoneExplorer Client. Efficient management-software to control your phone throught PC. How to backup Android phone via WiFi - Backup and manage your Android phone with MyPhoneExplorer. 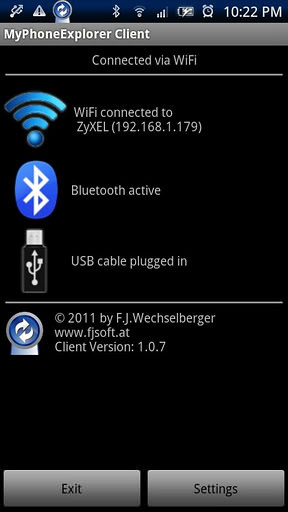 If you need more information please contact the developers of MyPhoneExplorer Client (Franz Josef Wechselberger), or check out their product website.